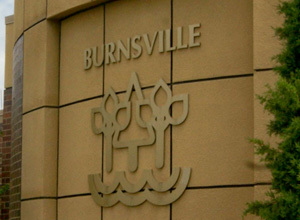 In 2007, the City of Burnsville, MN secured a federal grant to install fiber optic cable throughout the City as a backbone for its Information Technology Systems. They decided to connect all of the waste water, storm water, and water treatment and distribution infrastructure to this fiber optic network. AE2S worked with Elert and Associates (Minneapolis, MN) to design the network and connect all of the infrastructure to one large city-wide SCADA system. At the same time, control system and process improvements were also incorporated in the design. These improvements included new PLC, OITs, SCADA Severs, and client workstations. While the fiber optic cable was being installed throughout the City, the control system improvements were installed at the water treatment plant, storm water and sanitary lift stations, and other areas. When the fiber optic installation was complete the SCADA system was started up. AE2S did all of the process control, telemetry, and SCADA programming for this system. The SCADA system is connected to the City network, so anyone within the City with access to the SCADA system can view any part of the system. Since the system isn’t monitored 24 hours a day, an alarm annunciator (Win-911) software package calls the on-call staff when there is an alarm. With access to the City’s Virtual Private Network (VPN) on call can personnel can access the system 24 hours a day to assess and acknowledge alarms during non-business hours. Since the completion of the original system, AE2S has been providing continuous control system service and support and has subsequently worked with the City on other numerous projects.